(c) the details of the fruit and vegetable processing units in Jharkhand and Uttar Pradesh covered/benefited under these schemes during the last three years? 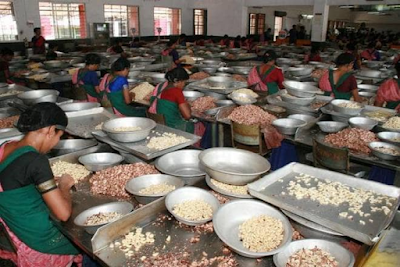 (a) & (b) Ministry of Food Processing Industries (MoFPI) is implementing a Central Sector Scheme for Creation/Expansion of Food Processing & Preservation Capacities (CEFPPC) under the Pradhan Mantri Kisan Sampada Yojana (PMKSY) for setting up/expansion of food processing industries including fruits and vegetables processing units in the country. Under the scheme, grants-in- aid @ 35% of the eligible project cost is provided in General Areas and 50% of the eligible project cost in North Eastern States including Sikkim and Difficult areas including Himalayan States (Himachal Pradesh, J&K & Uttarakhand), State notified ITDP areas and Islands subject to a maximum of Rs.5.00 crore. The food processing units including fruits and vegetables processing units can be setup in Mega Food Parks (MFPs), Agro Processing Clusters (APC) and Designated Food Parks (DFPs) notified by the Ministry from time to time. However, in States / UTs having no MFP, APC or DFP, the food processing units may be setup anywhere in the State / UT. Further, the units having majority stake of SC / ST promoter(s) and with an eligible project cost of more than Rs. 5 (five) crore can be set up at any location in thecountry. (c) The MoFPI is implementing the Scheme for Creation/Expansion of Food Processing & Preservation Capacities (CEFPPC) of PMKSY since 2017. No fruits & vegetables processing unit has been approved in the State of Jharkhand till date due to non-receipt of proposals. However, the details of food processing units including fruits & vegetables (F&V) processing units approved in the State of Uttar Pradesh is at Annexure.